This powerful 24-inch Cyclone wall-mounted range hood is strong and sturdy, yet attractive and unimposing. Boasting machine-washable filters that never have to be replaced, a three-speed digital push control panel, and a mighty 550 CFM canopy fan, this HC400 hood provides the professional look and smart capability that you and your kitchen have always wanted. IGCP430 30 inch Island-Mounted Convertible Range Hood in Stainless Steel Make your kitchen island the gathering spot of your home with the range hood. Dramatically engineered in glass and steel, this range hood features easy-to-use 3-speed electronic controls with convenient auto shut-off function. The long lasting, high output LED lights are an eco-friendly way to brighten your cooking surface, and the sleek stainless steel baffle filters will maintain their luster even after many washes keeping your range hood looking as beautiful as the day you bought it. Combines elegance, durability with features that will have everybody talking! 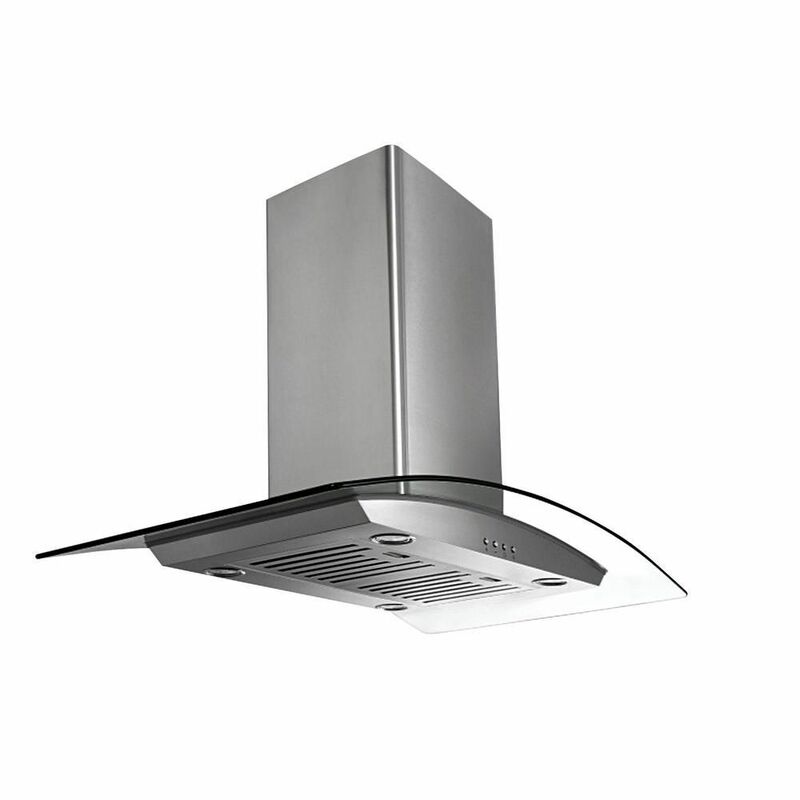 IGCP430 30 inch Island-Mounted Convertible Range Hood in Stainless Steel is rated 3.7 out of 5 by 13. Rated 4 out of 5 by Adnyl from Good features The unit works very well. I find it much noisier than I thought it would be. I get compliments on it. Rated 5 out of 5 by Bets from Awesome feature We are using this item for almost 6 months and we are so happy with it. It is a little bit loud but not a big deal. Rated 5 out of 5 by Fabi from Great product I bought it one year ago it is perfect. Very sufficient! Rated 1 out of 5 by RichardG1 from too noisy- will replace it. really noisy - using a carbon filter to recirculate. Rated 4 out of 5 by Leslie from attractive This is exactly what I have been looking for. very streamlined, bright light for cooking, works great. My only concern is its a bit noisy on high. wish it were quieter.